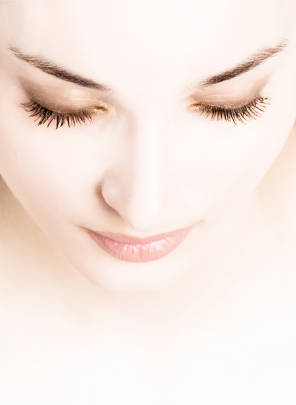 Why Should I undergo Eyelid Surgery? The eyes are probably the most visually appealing organs of human body. When a person has bright, fresh and clear eyes the person gives an aura of health, vitality, youthfulness and confidence. On the other hand, if eyes appear tired, aged or sagging then the person as a whole appears unhealthy, lacking vigor and fatigued. Fortunately, by use of eyelid surgery and other appropriate measures, the shape and look of eyes can be improved dramatically. In fact, the eye area offers the opportunity for highest level of aesthetic improvement as compared to other areas of face. The technical term for eyelid surgery is blepharoplasty. Many people focus their improvement efforts on different signs of aging and appearance on the neck and lower face. They are usually in denial of the aging changes around the eyes, which are usually correctable with less risk and less financial commitment than the face and neck lifts so commonly requested. Furthermore, if other areas of face like cheeks and neck are repaired without eyelid surgery, the end result is an exaggeration of negative aspects of the most important aesthetic organ of face –the eye region. On the other hand, if eyelid and other associated surgeries are done in the beginning that tends not to focus negative attention on the un-repaired lower face. You should define your desired goals in consultation with your plastic surgeon. Your plastic surgeon will be able to guide you to more realistic goals with the most appropriate surgery or other interventions as required. While you can get a good idea of what the eyelid surgery can do by going through before and after photographs of previous eyelid surgeries done by your plastic surgeon, you shouldn’t rely on these photographs alone to make your decision because goals as well as results can be markedly different in different patients. Although individual preferences and requirements vary, there are some common problems for which eyelid surgery is most commonly done. Eyelid bags are due to prominence and protrusion against skin of three small fat pockets under eyes. They can be corrected by standard blepharoplasty surgery. A little lower than the area for eyelid bags is the place for malar bags or festoons. They are due to collection of fluids and associated swelling of tissues. They are more difficult to treat. A blepharplast or face lift will not correct them. In fact they may become more apparent and may be noticed for the first time after a blepharoplasty surgery because removal of puffiness of lower eyelid can make them prominent. These malar bags are treated by blepharoplasty with malar extension with tear trough implant or lipo injection. Epicanthal folds are most common in Asian eyes and constitute a small tissue fold around nasal corner of eye. They may occur in other races also. They are usually corrected by epicanthoplasty. Another feature of Asian eyes is lack of crease in upper eyelid. Even when the crease is present it is 7 mm above lashline as compared to an average of 11 mm for Caucasians. These features give eyes a” bedroom eyes” look. This single eyelid or bedroom eyes look is treated by double eyelid surgery also known as Asian blepharoplasty. What preparation is done before Eyelid Surgery? You will be seen and examined by plastic surgeon before actual eyelid surgery. He will evaluate your general health and any special risk factors. Some lab tests may be ordered. Photographs may be taken for record, medico legal and post surgery comparison purposes. You should discuss likely outcome of surgery, type of anesthesia and any potential risks and complications with your plastic surgeon at this time. Blepharoplasty is often performed under local anesthesia .You will most probably be awake but a light sedative may be used to calm you down. Sometimes general anesthesia may be necessary. The surgeon makes incision on eyelids. These incisions are usually along the crease lines of eyelids so that the scar should not become prominent. Excess skin, muscle and fat are removed and skin is closed with sutures. Following eyelid surgery your eyes will likely be covered with bandages. You will be given lubricant drops for use in eyes and oral medications which will combat pain and discomfort. You should avoid contact lenses, make up, alcohol and television for several days after surgery. Tearing, itching in eyes, burning eyes, dry eyes, light sensitivity and blurred vision can occur which can persist for several days. There will also be some swelling around the eyes. Scarring, infection, difficulty in closing eyes and asymmetrical appearance of eyes are other possible complications. How much Eyelid Surgery will cost? The exact cost of eyelid surgery is difficult to estimate until you have been examined by a plastic surgeon. This is because the extent of procedure will vary in different patients. In fact, the cost can be different in both eyes of the same patient. In addition to the type and extent of procedure the cost of eyelid surgery depends on geographic location, experience of surgeon, type of facility and your preexisting medical condition. The major components in the cost of eyelid surgery are anesthesia fees, surgeon fees and facility or hospital fees. If eyelid surgery is combined with other procedures like brow lift or facelift then anesthesia and clinic fees can be combined together. A rough estimate is that eyelid surgery will cost you between $2,000 to $5,000 USD. In 2007, the national average for plastic surgeon fees for blepharoplasty was $2,480 USD according to the American Society for Aesthetic Plastic Surgery.